Fire Safety…Do you have a Plan? In 2013 alone, there were more than 400,000 home fires reported in the U.S. Many families lost their belongings and treasured memories in these fires. However, there are plenty of precautions you can take to prevent fires in your own home, and keep your family safe for years to come. First, be sure that your smoke and carbon monoxide detectors are up-to-date and working properly. A monthly test of these devices can save the lives of you and your family! Plan and practice an escape plan with your family. Be sure each person knows their course of action. Check the expiration dates on your fire extinguishers. Again, these could save lives. For personal and insurance reasons, take a home inventory. This way, if anything is lost in the fire, you can replace it with ease. Make sure your most important documents are in a fireproof box or at another location. 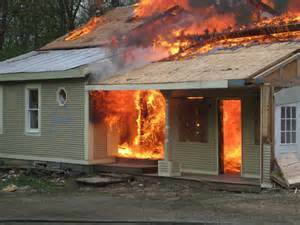 Knowing your documents are safe will ease your mind in the stressful situation of a house fire. With these tips, you and your family will have peace of mind knowing that you’re prepared for anything!